Designed for a wide range of ambient temperatures, the T30UX Series ultrasonic sensor delivers high-accuracy performance in unforgiving conditions. The sensor can provide both analog and digital output depending on the model, and can be configured in either normally open or normally closed mode. Thanks to the TEACH programming that provides both ease of use and security, set up is quick and simple. 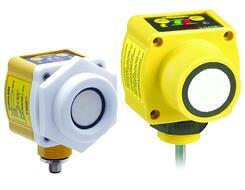 The S18U series barrel-housed ultrasonic sensor can sense from anywhere between 30 to 300 mm. Available in both analog and discrete models, the sensor is ideal for applications such as material handling and packaged goods. It features minimal to no dead zones depending on the mode and programmable background suppression. The build is flexible as both straight and right-angle housings are available along with a choice of mounting hardware. Banner understands the extent to which industrial environments can be demanding. 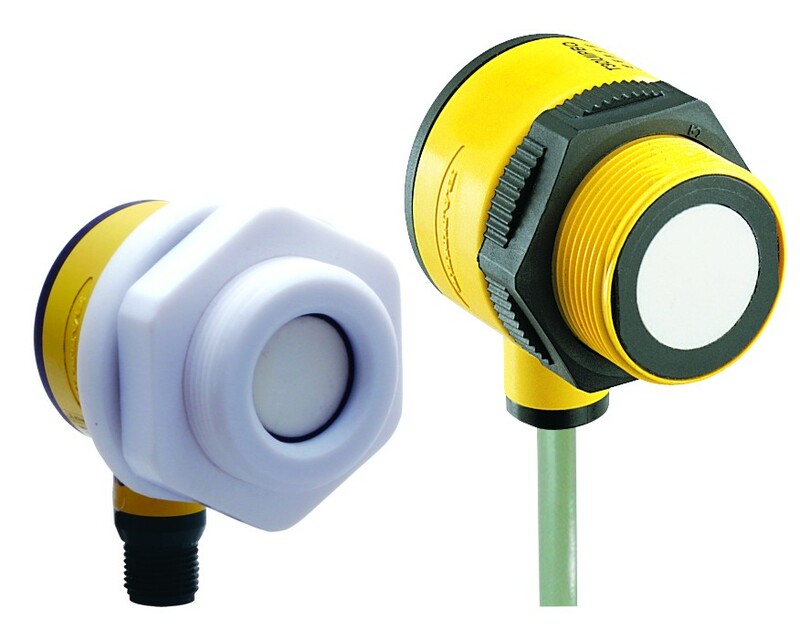 The QT50U ultrasonic sensor has been designed for harsh conditions, and features a completely sealed, shock-resistant housing, ideal for monitoring liquid levels as well as detecting solids. The range of operation is eight meters, which is powered by a narrow sensing beam for detection of targets in hard-to-reach, confined areas. Popular with pump control applications, the T30U ultrasonic sensor is available in both dual-discrete or analog/discrete output. 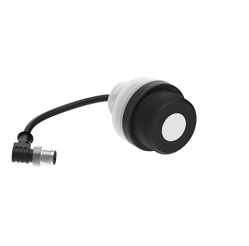 Available with ranges of 150mm to 1m and 300mm to 2m, the sensor offers precise measurements for a range of applications. The sensor is also available in a durable, chemically-resistant, Teflon-coated housing, and features remote programming for extra security and ease of use. In addition, the sensor features digital filtering and isn’t affected by electrical signals, ensuring you get as accurate a reading as possible. 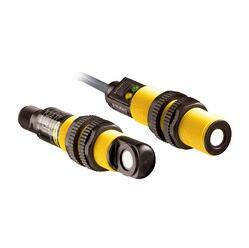 The Q45UR series sensors have been designed for operation in confined or hard-to-reach environments. Similar to the other sensors, it is available with analog or discrete output to allow flexibility. 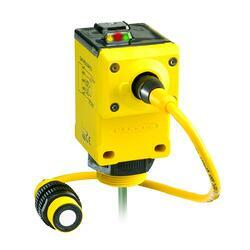 It works with one of three remote sensing heads, and provides a sensing range of 50 to 250mm. The sensor has built-in temperature compensation and works within a variety of temperatures, including a range of -25 to 70 degrees Celsius. 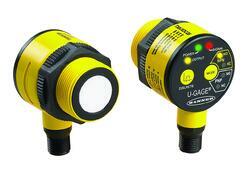 Monitoring tanks and equipment at remote locations has been made easy thanks to the K50U series of ultrasonic sensors. The Sure Cross sensor is designed to work in dynamic environments to provide the distance between the target and the sensor. It is available in standard and short distance models to fit individual users’ needs, and connects using a 1-wire serial interface. As far as ruggedness goes, the sensor design is rated at IP67 and has built-in temperature compensation. Whatever the application for ultrasonic sensors, Banner Engineering has the perfect product for your needs. Interested in learning more about Banner Engineering Solutions? Speak to an Advanced Controls & Distribution expert today!